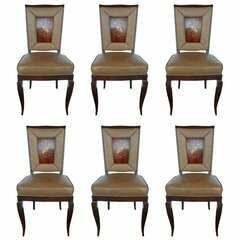 Luxe set of 6 dining chairs. Newly reupholstered. Measures: 35" H x 17.5" W x 18.5" SH x seat depth 19' x 21" overall depth. Four 1960s Italian oak chairs with a whitewashed finish and red seats. 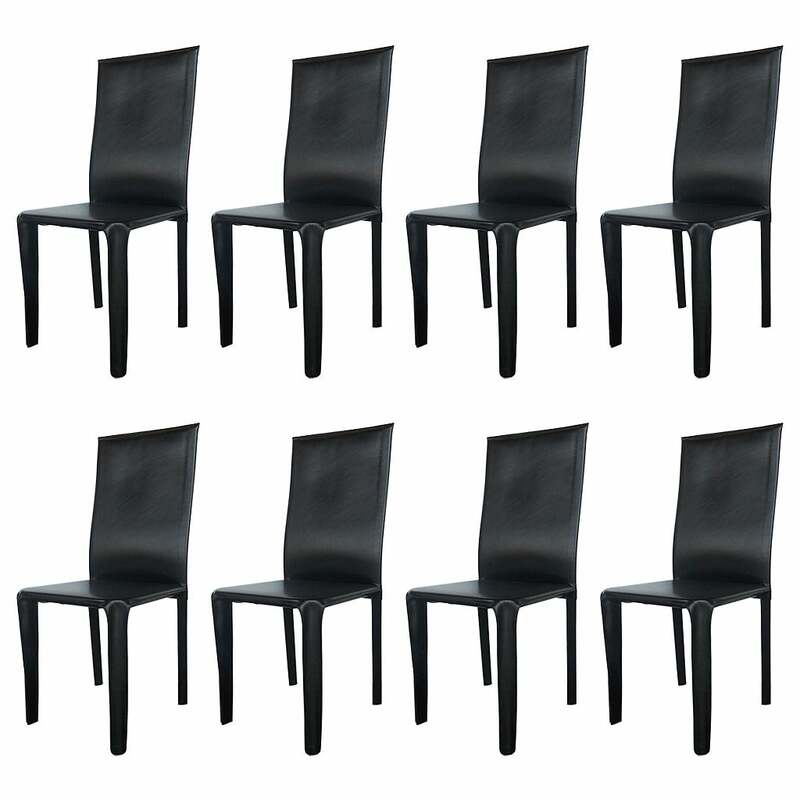 Exceptional set of 6 chairs. Mother of pearl and maple inlay on rosewood. 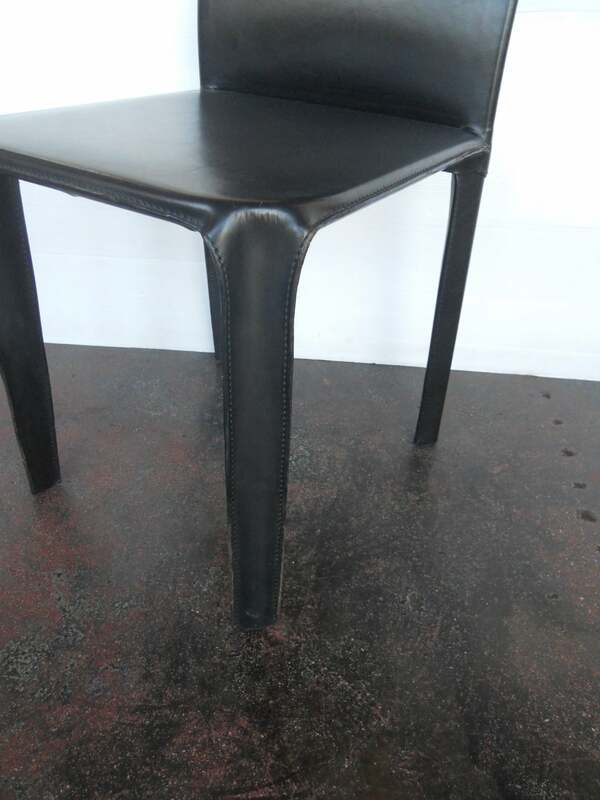 Newly refinished and upholstered in leather. 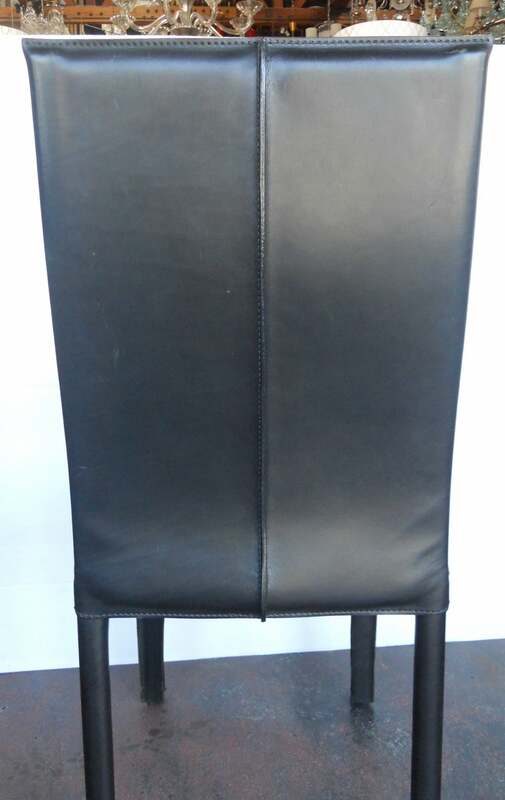 Set of six Mid-Century Modern dining chairs. Newly upholstered in a dark peacock color that compliments the mahogany on the chairs. The two front feet are accented with chrome caps. Pair of Mario Bellini style red leather chairs by Arper, made in Italy. 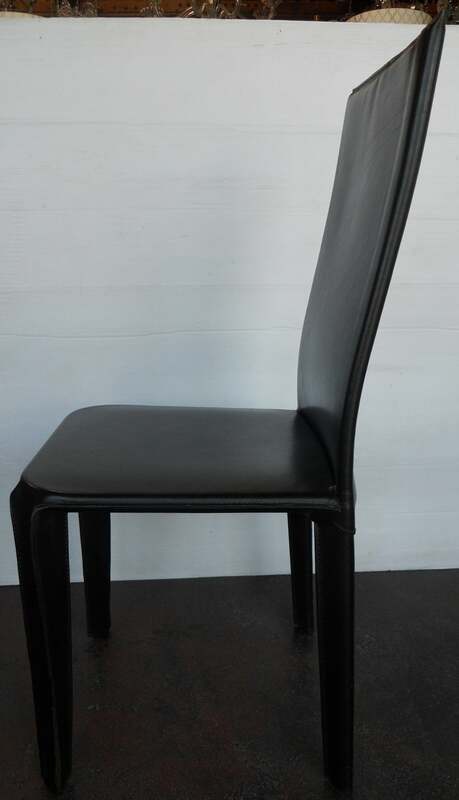 Zanotta dining chairs in black saddle leather and chrome steel frame. 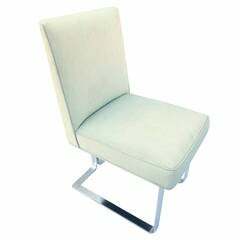 Comfortable seating. Set of 4.